Green technologies enjoy a special significance in the food and beverage industries, particularly as water is a key resource in these sectors. Hence, these industries become important target groups for the offering at the environmental technology exhibition IFAT 2018. The world’s leading trade fair will take place at Munich’s exhibition center from May 14 to 18. In beverage and food manufacturing, water is used as ingredient, for the production process, for cleaning and for hygiene. The scope of application is as varied as the approaches of the exhibitors in the water, sewage and recycling sectors. Pumps are just one example here, and traditionally are one of IFAT’s largest product groups. Many food and beverage companies pump their water from own wells. And, as with many other production and cleaning processes, this requires a reliable, powerful, hygienic, eco-friendly and energy-efficient transport of the medium. One of the globally active enterprises delivering pumps and valves for almost any transport task in the beverage industry is KSB. Provisions such as the drinking water ordinance or the mineral and table water ordinance define necessary properties that water, which is used for producing beverages and foodstuff, must fulfill. So, impurities or harmful substances need to be removed from the transported water stream safely. In brewing water, for example, these mainly are hydro carbonates, nitrates and possibly pesticides, which can be removed by reverse osmosis. Also the varied range of membrane processes prove of value in the food and beverage industries. To prevent oxidation in products, membrane degassing, for example, can efficiently remove dissolved oxygen from brewing water or from mixing water in juice making. 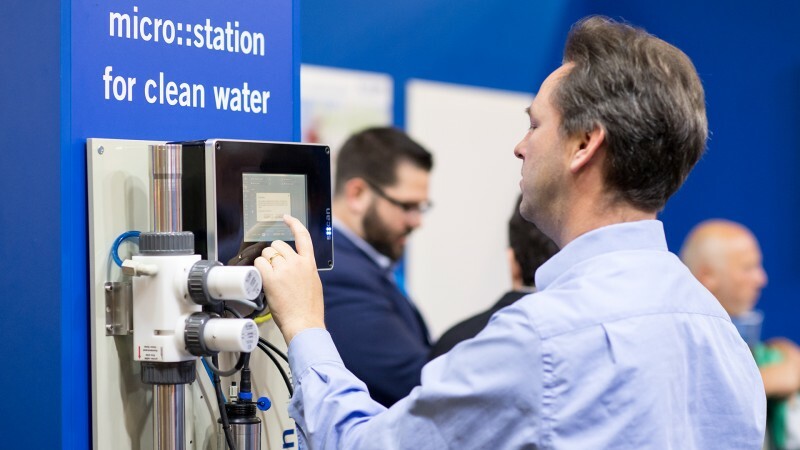 Grünbeck Wasseraufbereitung GmbH ranks among the international plant manufacturers that can select the appropriate solution from a multitude of technologies: ion exchange, reverse osmosis, membrane process or electro deionization. Another huge playground for the treatment and cleaning technologies presented in Munich is the treatment of process water and production wastewater. In the beverage industry, these are typically heavily contaminated with solids, for example with removed labels during bottle washing and organic substances. Individual solutions such as those offered by EnviroChemie GmbH, Huber SE or Invent Umwelt- und Verfahrenstechnik AG can reduce loads to such an extent that the treated water can be discharged into the public sewage system without supplementary charges or even directly into open waters. Additionally, energy can be produced in form of biogas or heat, and treated process water can be used for cleaning plants and watering. Also valuable materials can be recovered from the wastewater stream. Pyreg GmbH, for example, offers a procedure to win phosphorus fertilizer from sewage sludge. Especially wastewater from dairy plants has an interestingly high phosphorus content. 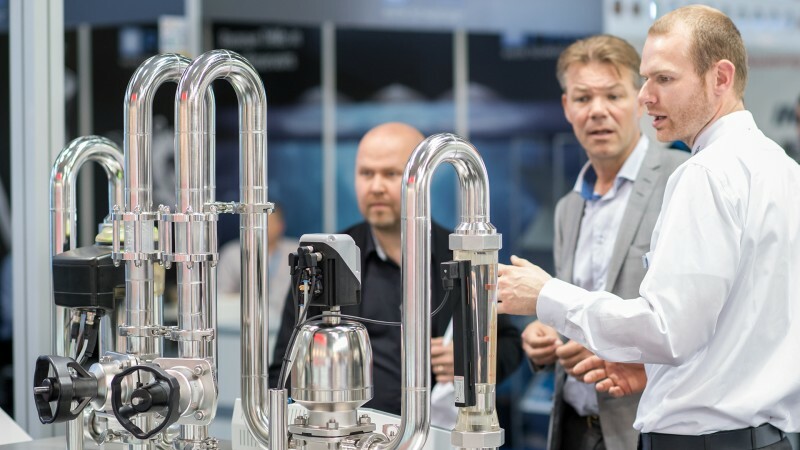 One of the trends in water and sewage technology is to standardize and unitize plants or components, as this allows to reduce the technical complexity. At the same time, the plants can be flexibly extended by additional components. Consistent standards in various locations of the often globally-operating food and beverage producers are an important precondition for successfully implementing the Industry 4.0 demands. As in other industries, the food and beverage industries increasingly focus on the life-cycle costs of their plants. 80 percent of the total costs incur during the operation; the purchase, however, only accounts for a fifth. Here, optimizing process water and sewage handling is a promising approach to saving costs. The exemplarily mentioned environmental technology companies—and the more than 3,100 other exhibitors—can be visited at IFAT 2018.